What is Cakewalk by BandLab? Cakewalk by BandLab is a world-leading DAW – a set of professional production tools to create and record music. It harnesses and continues the legacy of more than 30 years of development, including all core premium features of SONAR Platinum such as the award-winning Skylight user interface, flexible ProChannel modules, and powerful end-to-end 64-bit mix engine. It is available on Windows and is available to download for free now via BandLab Assistant. To get early access now, visit the product page here. 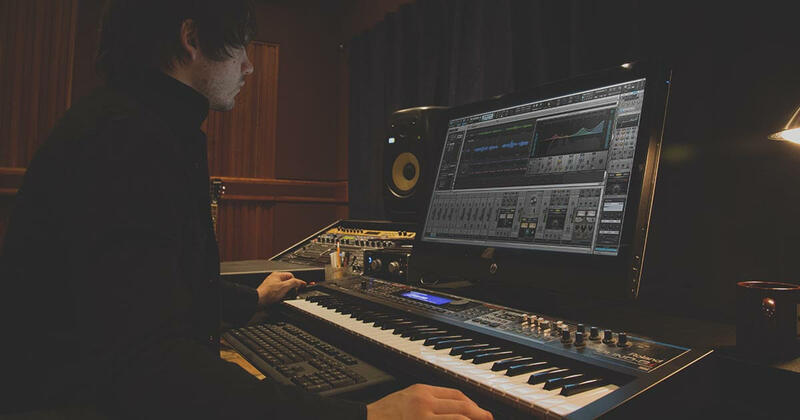 What’s the difference between Sonar Platinum and Cakewalk by BandLab? Cakewalk by BandLab continues the legacy of SONAR Platinum, and includes all of the same features seen in the original flagship version of SONAR, minus a selection of 3rd party content. There is an aggressive feature roadmap ahead, so as a Cakewalk by BandLab user you’ll enjoy updates as they are released via BandLab Assistant. As we continue to bring Cakewalk into the BandLab family, you may see more familiar features and content from previous SONAR bundles. Does Cakewalk by BandLab require an internet connection to work? While Cakewalk by BandLab will require an internet connection to install, activate, and update, you will not need an internet connection to run the program. How do I download Cakewalk by BandLab? Cakewalk by BandLab is only available in Early Access for Windows, via BandLab Assistant. Get BandLab Assistant here and install it. From BandLab Assistant’s “Apps” tab, you’ll be able to install Cakewalk by BandLab and related demo content & instrument packs. BandLab Assistant brings a wealth of features to enhance your music creation experience. It lives on your computer and allows you to access all future Cakewalk releases and updates. Have existing bugs in SONAR Platinum been fixed in Cakewalk by BandLab? Yes. We’re picking up right where SONAR Platinum left off, and have made bug fixes for our initial release of Cakewalk by BandLab. Will Cakewalk by BandLab support my SONAR Platinum plug-ins? Yes – as long as they are installed on your computer and have been previously authorized, any SONAR compatible plug-ins will be compatible with Cakewalk by BandLab. What’s happening with other Cakewalk products? Do I need to do anything to keep my Products updated? We are still planning the roadmap for other Cakewalk products. Watch this space for more information soon. Why do I need a BandLab account? You need a BandLab account to sign in to BandLab Assistant. BandLab Assistant allows you to download and authorize Cakewalk by BandLab and any future releases of or updates to Cakewalk by BandLab. Does this mean I have to be active on BandLab’s social music platform? Signing up for a BandLab Account doesn’t mean you have to use BandLab the social music platform (although there are plenty of good collaboration options and other features in there – you can read more about them at bandlab.com/creation-features!). Try them out, all of BandLab’s features are free! So, who owns Cakewalk’s products now? Cakewalk’s complete set of intellectual property and certain related assets were acquired by BandLab Technologies and the acquisition was announced in February 2018.Read the official statement here. Who are BandLab Technologies and what do they do? Together, our brands share a passion. We’re driven by integrating the physical, digital and social supply chain, to enable better experiences, opportunities, and connections for music creators and lovers alike. BandLab, the group’s flagship digital product, is an award-winning social music platform that enables millions of creators around the world to make their music and share the creative process with other musicians and fans. Headquartered in Singapore, other notable brands within the portfolio include Harmony, the world’s most cherished brand in musical instruments since 1892, MONO, the leading design-driven brand in products for the modern musician, Rolling Stone, the world’s leading voice in pop culture and music since 1967, and Swee Lee Music, Asia’s leading online retailer and distributor of musical instruments and pro-audio brands. This is exciting! I would like a feature to be developed or improved from the last version of SONAR. Who should I contact? We have a thread on the forum, actively looking out for your feedback and feature requests, hopes and wishes. Check it out here. Is the old website still relevant or active? No. Certain features on www.cakewalk.com may still work, but we are now in a migration process to ensure everything that has been acquired will be safely transferred as well as archiving the old site onto a legacy subdomain. Will the Cakewalk forums continue to be available? Yes! The Cakewalk forums are a valuable resources for Cakewalk Product users as well as professionals in the music community. We plan on keeping peer-to-peer forums active. I’m an existing or old SONAR user and have questions about my old account or subscription or want a refund. BandLab Technologies did not acquire the operating company of Cakewalk Inc., only the complete set of intellectual property, patents, trademarks and certain assets necessary or related to the entire Cakewalk product suite. For users of Cakewalk from before 21st February 2018 – please refer to the original Gibson/Cakewalk announcement FAQ here.